Kali is chock-full of useful penetration testing tools, though some of them are less practical from a penetration testing perspective, and instead designed for black hat hackers. Nevertheless, the tools are neither inherently good or evil. Their limits are only bound by your creativity, though today we’re going to be looking at a tool that is less practical in a corporate or professional penetration testing environment. Today we’re going to be looking at mitmproxy, a tool that helps hack traffic from proxy servers. I think it’s pretty rare these days for any legitimate firm to implement their own proxy servers, though I’m sure it does happen on occasion for various reasons. By and large, it’s much more common for a company to implement their own VPN servers as opposed to proxy servers (for reasons we’ll shortly discuss). But penetration testing isn’t limited to corporate environments alone. Plenty of folks setup their own proxy servers. Some simply want to provide a free resource to help strangers access blocked, censored, and geo-restricted content. Others setup their own personal proxy servers for private use. Whatever the reason for creating a proxy server in the first place, you need to understand the inherent security risks. mitmproxy will help show you how insecure they really are (and why you should always use a VPN tunnel when possible). Most of you probably already know what a VPN server is, but many of you may not understand the differences between a VPN and a proxy server. From the average user’s perspective, they’re more or less the same – especially if the user is just trying to get around network or country-wide restrictions to unblock content. In consumer VPN markets, most users don’t care – they just want access to streaming media. For instance, a user traveling abroad may simply be trying to unlock access to Netflix or Hulu. Or perhaps they are trying to circumvent sports network blackouts to stream a game live on the Internet. At any rate, both VPN servers and proxy servers can help unblock content through the process of IP address masking. Both the VPN server and proxy server act like a “middle-man.” They do this by making request on behalf of the connected client, and then send the data back to the original host – and the server providing the content is none the wiser. From the web server’s perspective, the original host that made the request is completely invisible. But there’s one massive difference between proxy servers and VPN servers that makes a proxy service undesirable – encryption! While VPN servers lock down a connection with ultra-strong encryption mechanisms, most proxy servers don’t provide any encryption at all. If the failure to provide encryption sounded like a big problem, and it is, just wait – things get even worse. Yet another problem with proxy servers is that you don’t always know who is running and operating them. Sometimes you do know because they are hosted by a legitimate business, such as those who offer SmartDNS and other proxy services in addition to their VPN service (like HMA VPN). You can mostly trust theses types of proxy servers since they are hosted by a credible and reputable firm. But for every reputable proxy server on the Internet, there are thousands more that are pretty darn shady. Just go ahead and Google “free proxy server,” and your going to be inundated with IP addresses of proxy servers from around the world. And while Google does its best to weed out crummy results, the bottom line is that you don’t always know who is running the show behind the scenes. For all you know, the server you connect to is hosted in some Schmoe’s basement. It’s a careless thing to send all of your Internet traffic through a stranger’s server, because they could easily use tools like a sniffer to capture your traffic. What’s worse is that the server could be insecure, too. Even if the proxy server provider doesn’t want to take advantage of users’ traffic, hackers may target the server anyway. But the flaws and security issues with proxy servers can be used as an advantage for a hacker. When you run an MITM attack, your computer, server, or network interface essentially becomes a proxy. With exception to some security protocols and encryption, your computer will be able to see all the information flowing through it when it is assuming the role of a proxy server. We’ve talked about MITM attacks quite extensively in other posts, but for those of you who don’t know how they work, we’ll briefly discuss MITM attacks. MITM stands for Man in the Middle. Essentially, the idea is for an attacker to place their computer (or server, interface, etc.) inside the forwarding path of a user’s data. For instance, if an attacker wanted to monitor data sent to a forum, the attacker would first need to be between the forum’s servers and the end user workstation. On a LAN, as well as a few other environments, it’s possible to place yourself between the target computer and all other devices and servers they are connecting to. At this point, the attacker’s computer behaves in much the same way as a proxy server, only it doesn’t mask the user’s IP address. Instead, it receives data from the target machine, inspects/captures/copies the data, and then forwards it on to the intended in host. In the reverse direction (that is, for data originating at a server and being forwarded to the end user), the same process applies. Any data that isn’t sent in an encrypted format is visible to the attacker, including usernames, passwords, online activity data, images – whatever the user is sending. Furthermore, the attacker can even capture data related to the establishment of a tunnel or security algorithm, like SSL. -n Don’t start a proxy server. -p PORT Proxy service port. -r RFILE Read flows from file. arguments. Can be passed multiple times. -t FILTER Set sticky cookie filter. Matched against requests. 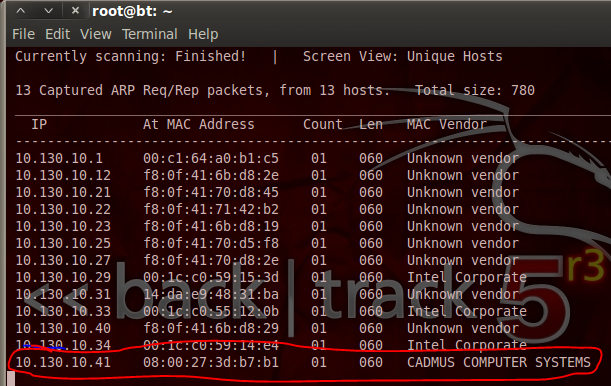 -T Set transparent proxy mode. -u FILTER Set sticky auth filter. Matched against requests. -v Increase verbosity. Can be passed multiple times. -w WFILE Write flows to file. -z Try to convince servers to send us un-compressed data. -Z SIZE Byte size limit of HTTP request and response bodies. Understands k/m/g suffixes, i.e. 3m for 3 megabytes. 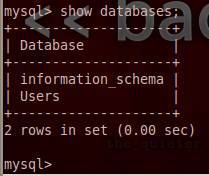 –host Use the Host header to construct URLs for display. -a Disable the mitmproxy web app. –app-port 80 Port to serve the app from. –app-external Serve the app outside of the proxy. -c PATH Replay client requests from a saved file. 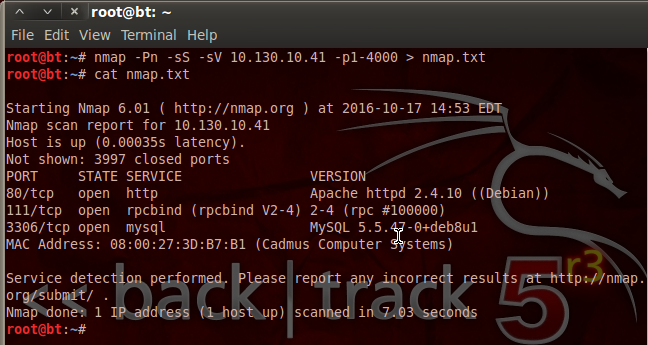 -S PATH Replay server responses from a saved file. -k Kill extra requests during replay. cookies and headers for replayed responses. possible to replay same response multiple times. –setheader PATTERN Header set pattern. transparent or reverse proxy mode. –cert CERT User-created SSL certificate file. See help in mitmproxy for filter expression syntax. –keepserving Continue serving after client playback or file read. If you think all of those options look intimidating, you’re not wrong. This tool is rather complex, but let’s go ahead and perform a simple demonstration that shows you how to start a basic capture. The scope of all the options in this command are incredibly complex, and require knowledge of a lot of concepts, protocols, and technologies outside the scope of this documentation. Remember to be logged in as the root user when running this command. All of the captured data from mitmproxy will be saved to the new file named “mycapturefile.log.” And of course, it will listen on port 8080 due to the -p option. This tool is extremely complex, but I wanted to show it to you because it’s such a powerful mechanism. Like Metasploit, I doubt you could learn it in a week or a month, much less a single day, unless you already had a background in IT and an advanced working knowledge of networking protocols. Nevertheless, mitmproxy is still a brilliant piece of software – just make sure you aren’t abusing it for malicious purposes. Welcome back everybody! I’m back and better than ever with a new round of fresh hacks to share with you! So, with that out of the way, let’s talk about what we’ll be doing today. There are many services that require passwords in order to access their goodies. 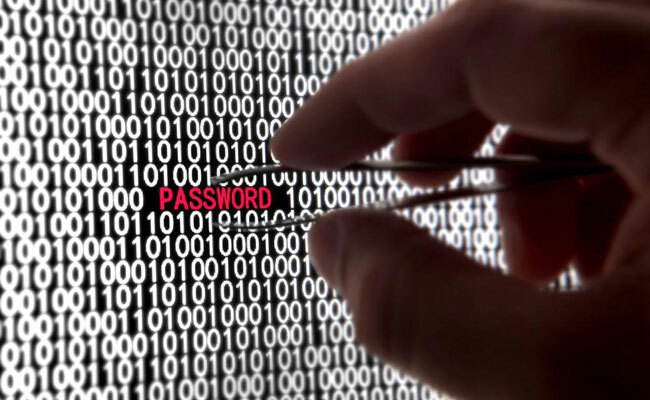 Often times we, the attackers, need to steal these passwords in order take said goodies. One of these services is SSH (Secure SHell). SSH allows for the remote management and use of things like network devices and servers. If we could find the SSH password, we could have control over the target system! Normally, we could look for some password disclosure vulnerability or do some social engineering. But, when all else fails, we can use brute force to try and crack the password the hard way. Today we’ll be building a tool that will go through a list of possible passwords to see if they’re correct. We’ll be building our password cracker in Java, so let’s get started! To make a long story short, Java does not natively support the SSH protocol. This means that we’ll have to use a third-party package in order to build our password cracker. Now that we’ve downloaded the package we need, we can get to actually coding our password cracker! We can see here that we import a small number packages, ending with our newly downloaded JSch package. Now that we have our packages, we can get started on the exciting stuff! Let’s break this down really quick. First, we declare our sshbrute class, nothing special there. Next, we make a function named checkHost. This function opens a socket and attempts to connect to a port given as an argument (this connection attempt does have a timeout set). Let’s move on to the next section! First of all, our function takes a single argument, a file path. This will be the path to the wordlist file we need to read. Next, it declares an array list to store the passwords in. An array list is like a dynamic array, so we don’t have to give it a buffer, we can just add things to it (that makes our job much easier). After declaring our array list, we open up the wordlist file with a buffered reader. We then read the file line-by-line and add each line to the array list until there are no more lines left in the file. Once this is complete, we return our completed array list. Now that we can read and store a wordlist, we can build the function to try them. This function is rather simple. We simply dissected the example code given by the JSch developer website and ripped out the code that is used to log in to SSH. This function will make a new session, configure the password and key checking, and attempt to log in to the service. It will then disconnect from the service and return true or false. Now that we have all our base functions, we can finally make our main function. We start by checking for the correct amount of arguments, if not, we provide a very basic usage message to the user. If the correct amount of arguments are supplied, we declare two variables; one being the host address, the other being the port running the SSH service (normally this port is 22, but an admin may configure it to run on a different port for added security). In the second half of our main function, we use all the functions we made earlier. First, we call the checkHost function to make sure the target is up and running. We’ve also assigned the target username to it’s own variable. We then make a new array list and store the result of our wordlist-reading function in it. Next, we print that the cracking has started, along with some information about the attack. Once this print happens, the cracking begins! We start by making a for loop that will iterate through the length of our wordlist. 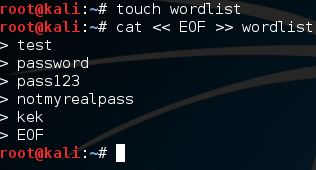 For each iteration, it will call that password out of the wordlist and pass it to the crackPass function. If the login is successful, we inform the user and shutdown the program. Otherwise, we keep going until we run out of passwords. 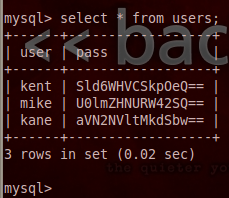 There we have it, our SSH password cracker is complete! Now we move on to the final step. Before we end our session today, we’re going to test out our new password cracker..I have a simple server set up on my local network running OpenSSH server. So let’s crack this password! We then execute the program again (forcing the JSch package) and pass all our arguments. We see the functions executing before our eyes for a minute before it returns that the credentials were found. We successfully cracked an SSH password! That’s it for this one, I’ll see you all soon with interesting new attacks!